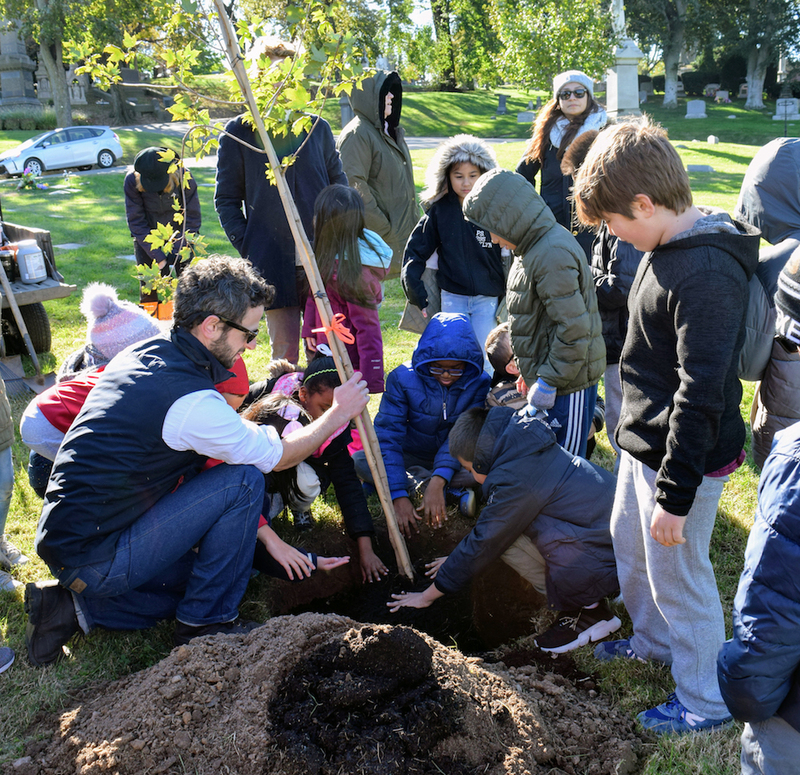 The Green-Wood Historic Fund invites you to help us plant trees in Green-Wood for Arbor Day. It’s a great opportunity to get your hands dirty and plant a tree. The tree you plant during this event may provide shade and oxygen for your great-grandchildren someday! Green-Wood’s professional horticulture staff will be on hand to guide and help you through the process. Green-Wood, Nature, and You! Be sure to bring work gloves (available at most local hardware stores) and wear clothes that you don’t mind getting dirty. Free to attend, but space is limited. Please register using the Eventbrite box below. Please check in at Green-Wood’s Gothic Arches main entrance. Click here for our inclement weather policy. This event is part of a program this is sponsored by a generous grant from The New York State Department of Environmental Conservation’s Urban and Community Forestry Grant Program.